Do you want to learn practical tools to make better decisions in work and life from one of the most preeminent thinkers in the business world? 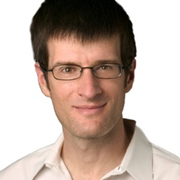 Together with our partner, the Daniels College of Business at the University of Denver, Rocky Mountain HR People and strategy is thrilled to announce a first-ever event on May 14th: A morning with New York Times Bestselling Author, Stanford Graduate Business Professor, and organizational behavior guru Chip Heath. 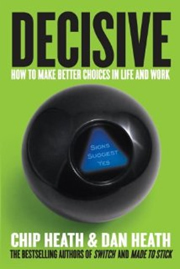 Chip will be discussing his new book, Decisive: How to Make Better Choices in Life and Work. The first 500 people to sign up for the event will receive a book with an inscription by Chip Heath! Please note: we have reached our first 500 registrations but welcome your registration (without a book) for this great event!ote: ceeded our 500 registrations - but please continue to register for at In Decisive, Chip Heath and Dan Heath, the bestselling authors of Made to Stick and Switch, tackle the thorny problem of how to overcome our natural biases and irrational thinking to make better decisions, about our work, lives, families, and organizations. When it comes to decision making, our brains are flawed instruments. But given that we are biologically hard-wired to act foolishly and behave irrationally at times, how can we do better? A number of recent bestsellers have identified how irrational our decision making can be. But being aware of a bias doesn't correct it, just as knowing that you are nearsighted doesn't help you to see better. Drawing on extensive studies, stories and research, Chip will offer specific, practical tools that can help us to think more clearly about our options and make wiser, bolder decisions at work and at home.